… that we have the gun control movement in full retreat. This is the time to be most vigilant, and stay in the fight politically. 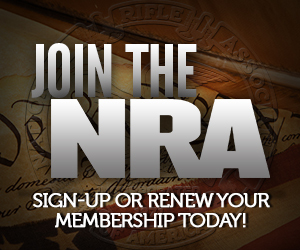 Keep the NRA, and other gun rights organizations powerful, and well financed. To use an analogy: the Civil War dragged on for years, largely because Union generals, even when they could beat Lee, never pursued his army and destroyed it, but allowed him to safely retreat. With a number of gun control organizations currently on the ropes, and with a possible Supreme Court victory for the right to bear arms in sight, we are presented with an opportunity to pursue and defeat the gun control movement as we currently know it, but we can only do it if we stay strong, and united. Personally, I don’t really think they’re in retreat; I feel they are just lying low and trying to find a way to hit us from behind. I sometimes wonder if all the BS from the ATF lately is being pushed by someone outside of the ATF with an anti gun agenda. I think they will just try to find roundabout ways of messing with gun owners rather than a face-to-face confrontation. The issue will never really just go away and settle, but I think we have a real chance of burying this current incarnation of the gun control movement, which got its start as a movement to ban handguns. I think the ATF issues are mostly rooted in the Administration’s incompetence at getting control of the federal bureaucracy, or nominating capable and competent people. The ATF seems to be particularly bold under Gonzalez. Since Gonzalez is not a friend of gun owners in any respect, I don’t imagine it’s just a coincidence. The antis are hardly in retreat. SCOTUS could rule the 2A mandates everyone own a machine gun and that still wouldn’t stop the antis. They are never, ever going away. You’re right, they won’t ever go away. But they can be killed off politically. Look at it this way: prohibition was a failed experiment. The temperance movement was once a political powerhouse. Hell they managed to get a constitutional amendment passed. No easy feat! There are still people who would prohibit alcohol. There are still people out there who want to regulate it, or regulate certain types of it. MADD would like the law to treat you like you strangled a toddler if you drive home after having a beer or two with dinner. There are still anti-alcohol folks out there. But the alcohol prohibitionist movement is dead politically. There’s no serious movement to ban alcohol. So you can eliminate a movement politically. You just have to be persistent. I agree that groups like the Brady Campaign are on the ropes and don’t have many supporters in Congress willing to step up to and try to implement additional controls. Democrats are squeamish and know many of their victories in 2006 came from moderates claiming to uphold the Second Amendment. If they push this issue they’ll lose control of Congress and possibly the the 2008 presidential election as well. My concern would be either Obama or Hillary (laying low on the gun issue) getting elected in 2008 and stacking regulatory agencies/cabinet posts with gun control activists (like Janet Reno). They could also do what Bill Clinton did – using executive orders to enact gun regulations, deliberately raising FFL fees to reduce license holders, restricting firearms/ammunition imports with commerce directives, reviving the recent OSHA fiasco regarding storage of “explosives” as it relates to ammunition/gun powder/primers, etc.